Having some perfect multiplayer racing games can easily pass your time and will fill you with thrills and excitement. In this article, we have listed 10 best multiplayer racing games available on Google Play store for Android devices. From high-resolution to low-end games, we have included every type of multiplayer games that can easily run on your smartphone. This list has been created by reviewing average game ratings and user reviews. You will find realistic graphic games with fascinating environment and addictive tracks. Also, we have listed some of the unknown games that are fun to play, but are not as popular as others. Real Racing 3 is the most popular racing game with real time multiplayer feature. This game is the top rated and most downloaded racing game in Play store. Real Racing 3 will take you through thrilling tracks with breathtaking environment and 3d visuals. With 140 high-end cars, you can compete with top ranked players and challenge them to a multiplayer game. Before downloading, just remember to free up to 2 GB of space on your smartphone. This game is specially developed as a multiplayer racing game. You can challenge up to 3 games and race with them on stunning tracks. Also, you can customize your cars and race with your friends on self-designed tracks. 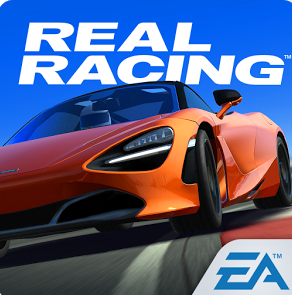 This game is the top rated racing game (with 4.7 stars) on Android play store. Download SUP Multiplayer Racing game from the link below. Racers Vs Cops is a multiplayer racing game where you can play as a Racer or as a cop. You can get into a multiplayer lobby with friends or random players from around the world. While starting a multiplayer game, you will have to choose to play as a Racer or as a police. It’s a fun game to play with friends and enjoy the time. Download this game on Play store from below given link. If you are a fan of off-road racing, mountains and motorbikes, then this game is the best that you can get in Play store. Join a multiplayer mode with players around the world and challenge them on an adventurous track. This game offers 20 tracks with 4 weather conditions and customized bikes. Note that balancing bike in this game is a challenge, hence some might find it immensely annoying. Download MTB Downhill from the link below. Multiplayer Driving Simulator is specially made for players who like to crash, speed, drift a racing car with their friends. Join a multiplayer drag race and compete in city wide tracks with no rules. This game is still in development mode, hence might have issues with older/outdated devices. Race Day is a fun game with short but intense tracks. You can play multiplayer mode with 4 random players or friends. This game is not a high resolution 3d game with high-end graphics. Hence, it can easily run on normal Android smartphones. It is one of those apps to which you can easily get addicted. You can even chat with your Multiplayer opponents during the game. Easily one of the best racing game ever made. Asphalt games are known for their intense graphics with real life physics engine. It has an intense multiplayer gaming mode where you can compete with 8 players around the world. This game will need an above average smartphone with a lot of internal space. Since it is a heavy game, you might notice heating problems on your device. If you are looking for a WiFi base multiplayer racing games, then City Racing 3D is the best option for you. With City Racing 3D, you can enjoy multiplayer racing on a LAN party with your friends. This game is also known for its intense tracks and 3D graphics. It is also fun to play and easy to manage in-app settings. Nitro Nation Drag Racing is known for its immense graphics and real time multiplayer game. The online mode of Nitro Nation Drag Racing is highly popular among players. You can challenge any online player over a drag race. Or you can find individual racers on the streets looking for a multiplayer game. The cars are highly customizable with new updates and accessories. This game will take you to fast paced race, with cars shooting at each others. If you are a fan of death race, then you will enjoy every bit of its multiplayer mode. You can load your car with guns, missiles and firepower to blast your opponent. Don’t play this game if you want a high-definition 3d game. Let us know if you like our list of 10 multiplayer racing games for Android. Previous articleHow to make google chrome faster?